/ 5 Best Blenders Under $100 that Actually Work! 5 Best Blenders Under $100 that Actually Work! We’ve all had a blender that just doesn’t hold up to our blending needs. It’s not only frustrating, it can end up being costly as you search to find a replacement. Never fear, with this list of the best blender under $100, you will keep your wallet full and your drinks and ice blended without feeling frustrated! There are several hundred brands, makes, and models of blenders on the market that will range in size, functionality, and of course, cost. When it comes time for you to choose a blender there are certain factors you need to keep your eyes on so you can choose the best blender for your needs. Not all blenders are made equal. In fact, there are so many different makes and models, you could be easily overwhelmed with such variety of choice. One thing all blenders have in common, they are made to blend. Depending on the quality of the blender will determine how well it actually does blend food or drink items together. The wattage will be the amount of power that goes directly to the blender, making it blend at higher speeds and/or have a more powerful blending mechanism. As wattages go up, the price typically does too since the blenders will be more powerful. How loud will the blender be? 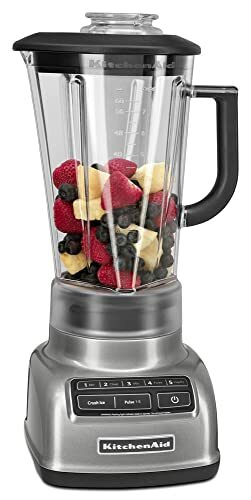 How many functions does the blender have? Does the blender offer a ‘pulse’ setting? Does the blender have sharp blades? Will there be a warranty included with the blender? If so, how long does the warranty last? Is the blender easy to assemble and disassemble? Is the blender easy to clean? Is the blender and/or any included parts dishwasher safe? Is the blender BPA free? Does the blender include suction cups to stay in place while in use? Is the blender easy to store? How simple is it to use the blender? Is there a ‘lock in place’ mechanism for safety? Will you be able to add to the blender while it is in use? Are there multiple cups or pitchers included with the blender? Do you want your blender to be made of glass or plastic? How many cups are measured within the blender? How well does the blender handle crushing ice? Can the blender puree foods? Can the blender handle juicing? Can the blender blend frozen fruit or vegetables? Does the blender leak when full or nearly full? Can the blender blend dry food items? Will food particles become dislodged in the blender? Will the blender be durable and long lasting? Will the motor be covered under warranty? Does the design of the blender suit my style and/or personality? Is the blender scratch and/or stain resistant? How many modes or settings does the blender have? Are you searching for a blender with multiple parts? How much counter space will the blender take up? When you use your blender, there are a few things to take note of in order to use it correctly. Follow these tips to ensure you are getting the best out of your blender! 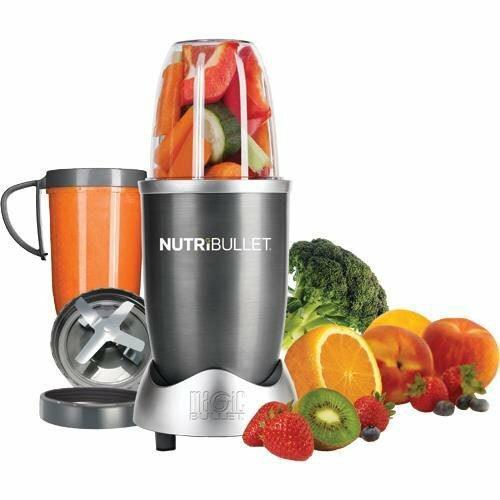 The NutriBullet Blender is a great option for those who want to make mixed drinks, green smoothies, or even baby food. Because the NutriBullet blender also functions as a storage cup or drinking glass, you can blend your goodies and enjoy them right then and there. This special feature makes enjoying your blend and the clean up a breeze. The Ninja Professional blender is a popular blender- and it’s easy to see why. Its high quality parts and high wattage offer a powerful blend and long lasting durability. The power of this blender provides a smooth blend, no matter the food or drink item added and the sleek and modern design is attractive for any kitchen. The Oster Reverse Crush Counterforms blender is a versatile blender that focuses on multi use and safety. Since the connecting parts are made of metal, the Oster Reverse Crush Counterforms blender is more durable than those blenders with connecting parts that are made of plastic. 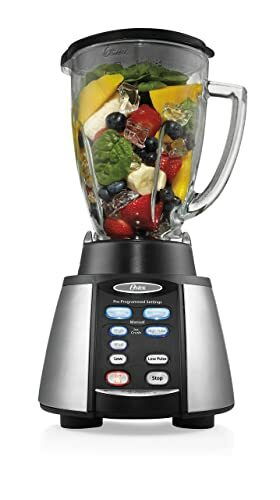 In addition, the power provided with this blender will allow for quick and easy blends, no matter the ingredients you add to it. Powerful 450 watt motor of ice crushing power with 8 speeds. Makes preparing everyday meals and snacks easy, perfect for smoothies, salsa, dips and more. 6 Cup dishwasher safe and scratch resistant glass jar is thermal shock tested to withstand extreme temperature changes. 3-cup BPA-Free food processor attachment included, Stainless Steel S-blade to make food prep easier. Quickly and easily chop spicy pico de gallo salsa, shred fresh carrots for a salad, grate cheese for pizza, tacos, salads and more. Dishwasher safe. Crush Pro 4 Blade - Stainless Steel, 4-point design pulverizes and chops with precision. 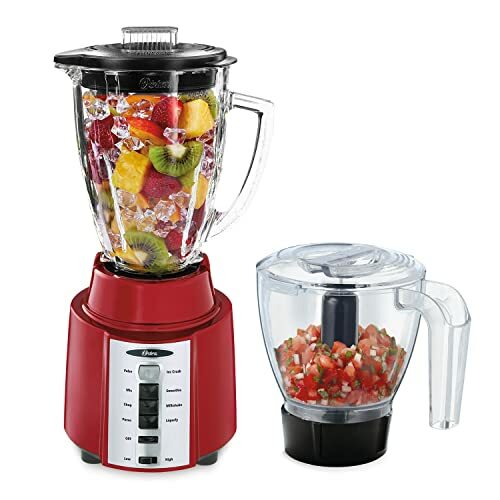 The Oster Rapid Blend 8-Speed Blender packs a powerful punch. The 8-speed options allow you to blend at any level and the results are always great. The great addition of a bonus 3-cup food processor allows you to take your blending needs up a notch and you can mix, puree, blend, pulverize, or combine nearly anything with the combination of these two pieces. While it is a little heavier than most blenders, it is still quite compact so you can store it easily or leave it on your counter top without taking up too much space. In addition, the 8-speeds allow for quick blending work so it will be no time before you are enjoying your green smoothies or freshly mixed drinks or soups. The KitchenAid 5-Speed Diamond Blender is specially designed with the diamond blending system to ensure all food or drink items are blended fluidly and smoothly. Not to mention, the KitchenAid 5-speed blender includes Intelli-speed technology. Simply put, this blender can detect the contents and measures that against how strongly and how long to blend for the perfect consistency. When it comes time to select a new kitchen gadget such as a blender, you can easily see how many blenders are available on the market. Yet, you can still get a quality blender for under $100 that will hold up to the more expensive makes and models. In the case of these 5 best blenders under $100, the very best one on this list would have to be the Ninja Professional Blender. The Ninja Professional blender can provide all the blending needs of the home or professional chef. 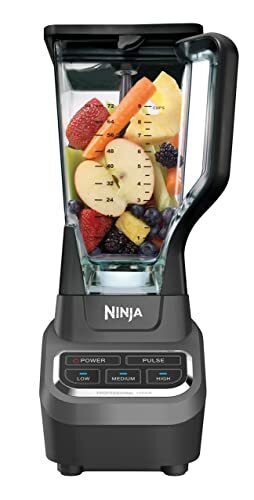 The ease of use, assembly, and disassembly along with the long lasting durability make the Ninja Professional blender an ideal addition to any kitchen. The Ninja Professional blender does its job in the most professional way possible and the high quality will ensure you are blending, pureeing, or pulverizing your favorite foods and beverages for years to come. And not to mention, the way the Ninja Professional blender handles ice makes it stand out among its competitors. No matter which of these blenders you choose to go with, find one that suits your personal needs and ensure you take care of it with each and every blend. I hope this list of the 5 best blenders under $100 will help you to find the perfect blender for your home or business without breaking your bank.